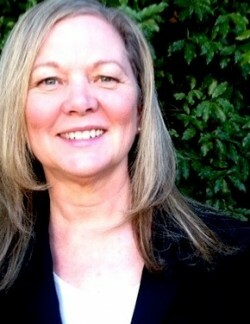 Sarah Stevens specialized in health-based publishing for more than 25 years. As a materials development executive at ETR Associates, a national health-based nonprofit, she led public health and school health product development teams that included noted researchers in their respective fields. She managed the publishing cycle for hundreds of materials, with a special focus on adolescent health and sexuality. Materials included more than a dozen evidence-based curricula, plus comprehensive health education programs, videos, instruction booklets and health pamphlets, with annual sales exceeding $5 million. These are widely used in schools, clinics, community organizations and homes throughout the U.S. and internationally. They were designed to meet state and local health education requirements as well as to help provide youth and others with the skills to communicate their needs effectively and respectfully, and to create safe environments at home, at school and in one’s social relationships. Sarah is particularly committed to the wellbeing of youth and young adults. She facilitated several projects that earned National Health Information awards, including those addressing teen dating violence, gender awareness and respect, binge drinking, and STDs. From 2009-2012, she led an editorial and design team that revised a leading comprehensive health education program for middle and high schools. The program, HealthSmart, is the first curriculum to meet both National Health Education Standards and the Centers for Disease Control and Prevention’s HECAT standards. In 2013, she formed Stevens Creative as a consulting and public health project management agency. She is excited about her affiliation with Family Spirals™ and looks forward to expanding her involvements with community health by addressing underrepresented areas of family dynamics.